“App Parties” are the days in which you apply for several credit cards in order to take advantage of the fact that each bank pulling your credit report for your application won’t see the inquiries for all of the other applications you make that day. I’ll share my successes and failures as I navigate the credit process. If there are any inaccurate items, get them fixed first BEFORE starting your app party. Check with CreditKarma and CreditSesame for an approximation of your credit score. These sites are affiliated with Transunion and Experian, and give an estimate of your credit score. In my experience, these estimations are not that accurate, but they track your score over time, so you’ll at least have an indication of the trending of your score. Determine what your goals are. Do you have a trip in mind? Are you trying to increase your balances? Taking advantage of a special promotion? Answers to these questions, and more, will help you narrow down which cards are most appropriate for you. Determine your ability to hit minimum spend requirements. It doesn’t make sense to apply for a bunch of credit cards if you aren’t going to be able to hit the minimum spend to receive the bonus points. Understand what your financial situation is and only pursue cards that you know you’ll be able to hit the minimum spend. 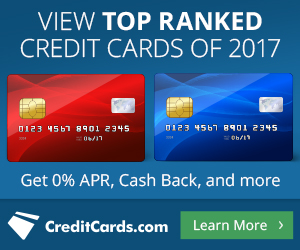 What I do is a mixture of minimum spends (generally $1,000 to $5,000 per card) and cards that require only 1st purchase (as little as a $1 purchase).